Christi Belcourt is a Michif (Métis) visual artist with a deep respect for Mother Earth, the traditions and the knowledge of her people. In addition to her paintings she is also known as a community based artist, environmentalist and advocate for the lands, waters and Indigenous peoples. 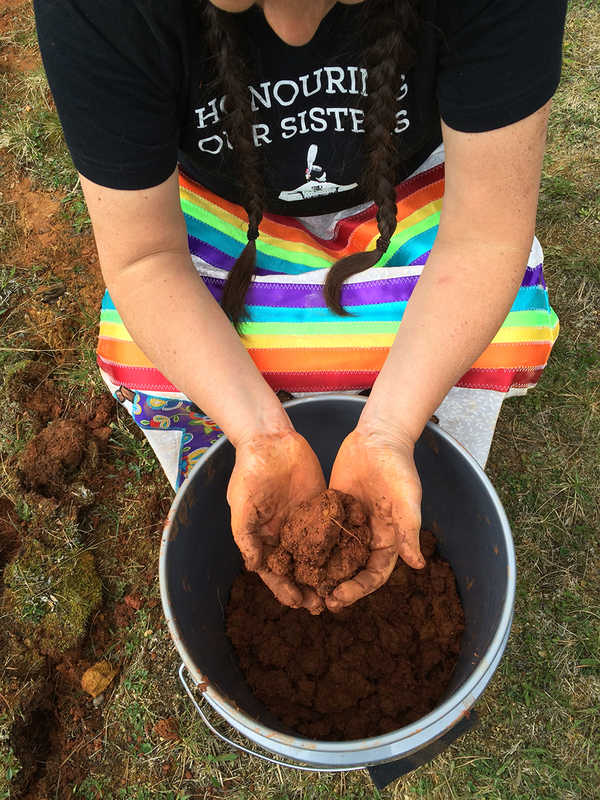 She is currently a lead organizer for the Onaman Collective which focuses on resurgence of language and land based practices. She is also the lead coordinator for Walking With Our Sisters, a community-driven project that honours murdered or missing Indigenous women. Her work Giniigaaniimenaaning (Looking Ahead) commemorates residential school survivors, their families and communities to mark the Prime Minister’s historic Apology in 2008 and is installed at Centre Block on Parliament Hill commissioned by the Government of Canada. She was named the Aboriginal Arts Laureate by the Ontario Arts Council in 2015. In 2016 she won a Governor General’s Innovation Award and was named the winner of the 2016 Premier’s Awards in the Arts. Author of Medicines To Help Us (Gabriel Dumont Institute, 2007) and Beadwork (Ningwakwe Learning Press, 2010). Christi’s work is found within the permanent collections of the National Gallery of Canada, the Art Gallery of Ontario, Gabriel Dumont Institute, the Indian and Inuit Art Collection, Parliament Hill, the Thunder Bay Art Gallery and Canadian Museum of Civilization, First People’s Hall. Christi Belcourt is a Michif (Metis) visual artist and author whose ancestry originates from the Metis historic community of Manitou Sakhigan (Lac Ste. Anne) Alberta, Canada. Raised in Ontario, Christi is the first of three children born to political Indigenous rights leader Tony Belcourt and Judith Pierce Martin. Her brother Shane Belcourt is a respected filmmaker and her sister Suzanne is a graphic designer and emerging visual artist. Like generations of Indigenous artists before her, the majority of her work explores and celebrates the beauty of the natural world and traditional Indigenous world-views on spirituality and natural medicines while exploring nature’s symbolic properties. 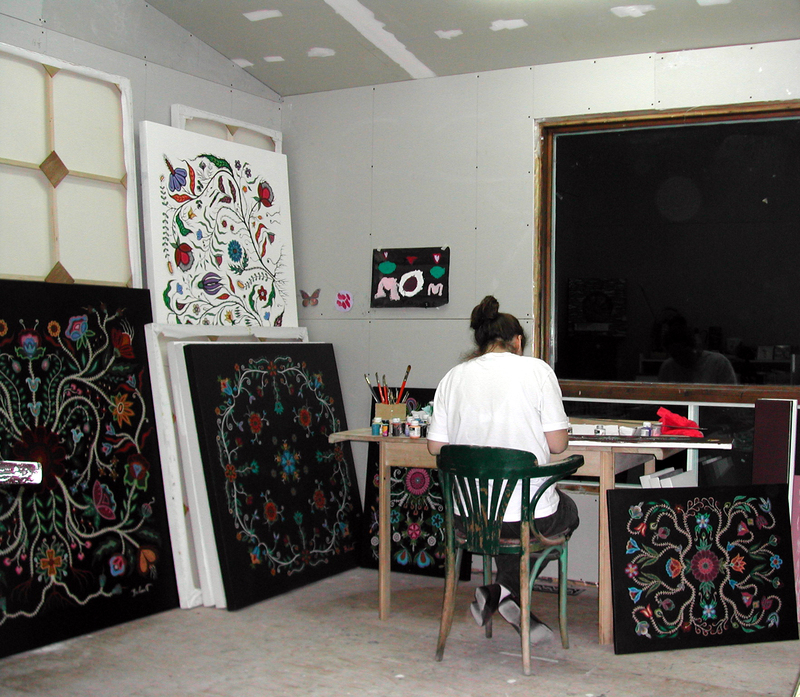 Following the tradition of Metis floral beadwork, Belcourt uses the subject matter as metaphors for human existence to relay a variety of meanings that include concerns for the environment, biodiversity, spirituality and Indigenous rights. Although known primarily as a painter, she has for years been also practicing traditional arts. Working with beads, hides, clay, copper, wool trade cloth and other materials. Most recently with birch bark and harvesting plant fibres and ochre. Named the 2014 Aboriginal Arts Laureate by the Ontario Arts Council and shortlisted for the 2014 & 2015 Premiere’s Award for Excellence in the Arts, her work can be found within the public collections of the National Gallery of Canada (Ottawa), the Gabriel Dumont Institute (Saskatoon), the Art Gallery of Ontario (Toronto), the Indian and Inuit Art Collection (Hull), the Thunder Bay Art Gallery, the Canadian Museum of Civilization (Ottawa/Hull) and at Centre Block on Parliament Hill. She also won the “Influential Women of Northern Ontario” award for her community work this past summer. And her artwork was voted #1 “People’s Choice” at the Art Gallery of Ontario in June of 2015. In 2011, her work titled Giniigaaniimenaning (Looking Forward), was created to commemorate the resilience and strength of Residential School Survivors and their descendants. It was selected and installed as stained glass for permanent exhibit above the main entrance for Members of Parliament, in Centre Block, Parliament Hill (Ottawa). She also designed the PanAm / ParaPan Medals for the Toronto 2015 Games. And most recently she has been in the news for her collaboration with Italian fashion designer The House of Valentino. 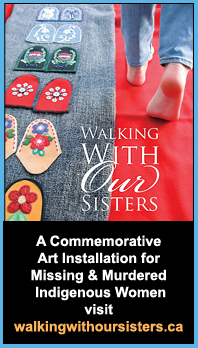 In 2012 she began the Walking With Our Sisters project to honour the lives of murdered Indigenous women and girls in Canada and the United States. It has grown to an astounding international seven-year touring memorial involving over 1500 artists and thousands of volunteers. The impact this community-based work is having cannot be overstated. It is a seven-year touring project which will continue until 2019. Over 30,000 people have visited it in 13 communities so far. Christi also previously co-created and co-lead the Willisville Mountain Project a juried exhibit which involved 40 artists who used art to draw attention to the Willisville Mountain that was slated for quarry. The Project and subsequent political and media pressure it applied, helped to secure a decision by Vale Corp. who agreed not to mine the mountain for quartz. Her work has been the focus of two short independent documentary films: So Much Depends Upon Who Holds The Shovel (Directed by Wayne Peltier, screened at the Imaginative Film Festival in 2008) and A Life in Balance (Directed by Kathy Browning, screened at the Weengushk Film Festival 2012). Her work is also the subject of many classroom studies from primary school to University programs. She is author of three books: Medicines To Help Us (2008), Beadwork (2011), and co-author of Jeremy and the Magic Ball (2008), Her work has been reproduced within numerous publications and on the covers of many books. Christi is currently one of three artists within the Onaman Collective along side Erin Konsmo and Isaac Murdoch. All three artists are dedicating their work and lives for social change and justice for Indigenous Peoples.